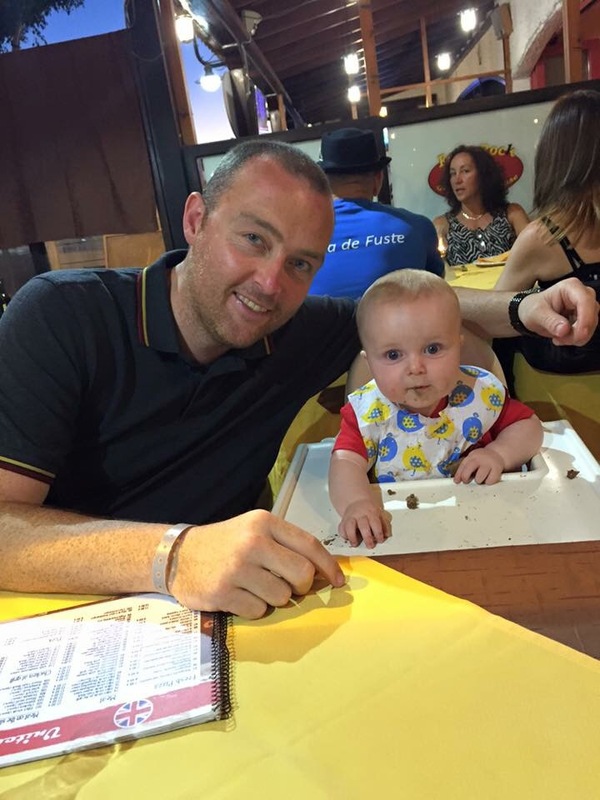 We took Finn on his first holiday abroad to Fuerteventura when he was Just over 7 months old. 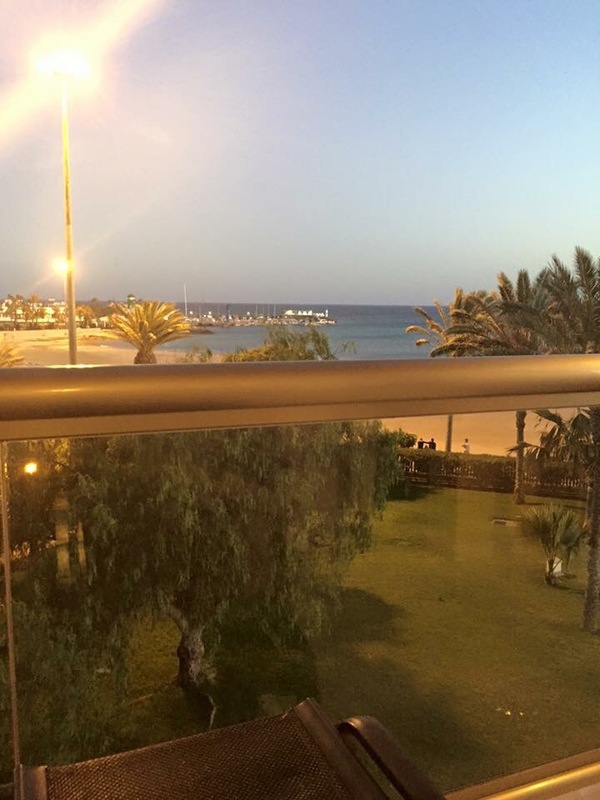 We went in September for a week to Caleta de Fuste and stayed in the Barcelo Thalasso Spa. 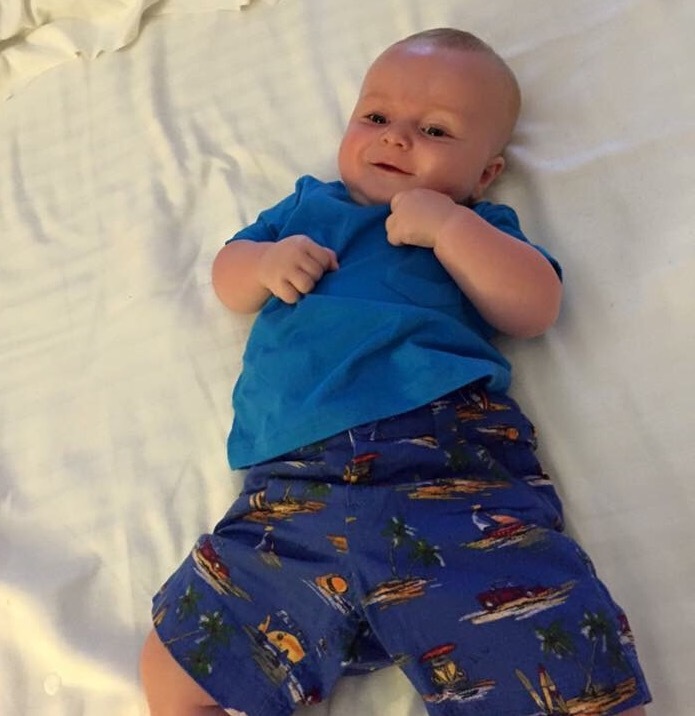 As I have mentioned previously I am a massive overpacker and worried we wouldn’t have enough for Finn so I did take about 4 spare of everything clothes wise, about 40 nappys etc… But when we were there I had a look around and everything was cheap enough to buy. 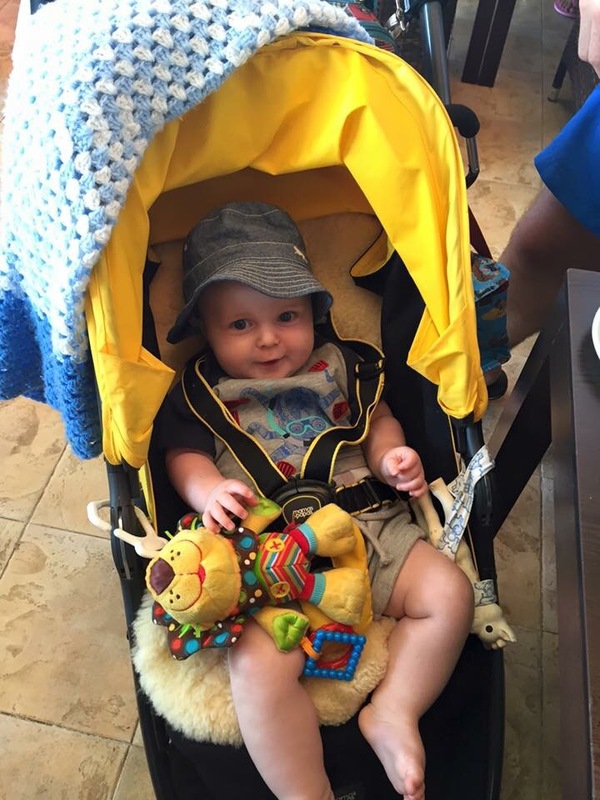 I have covered the flight and airport separately in a previous blog Baby Flying tips. 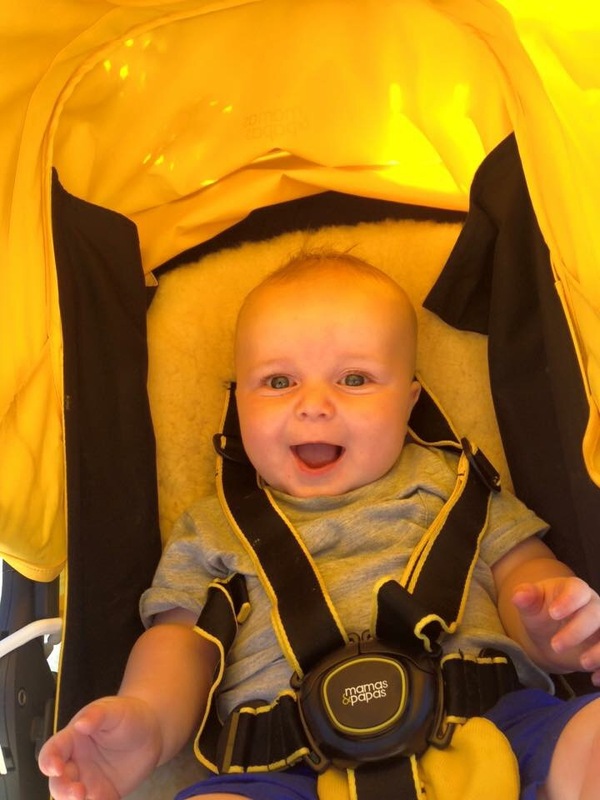 We got a taxi from the airport as I had read on trip advisor that they had car seats and it was only a short transfer. 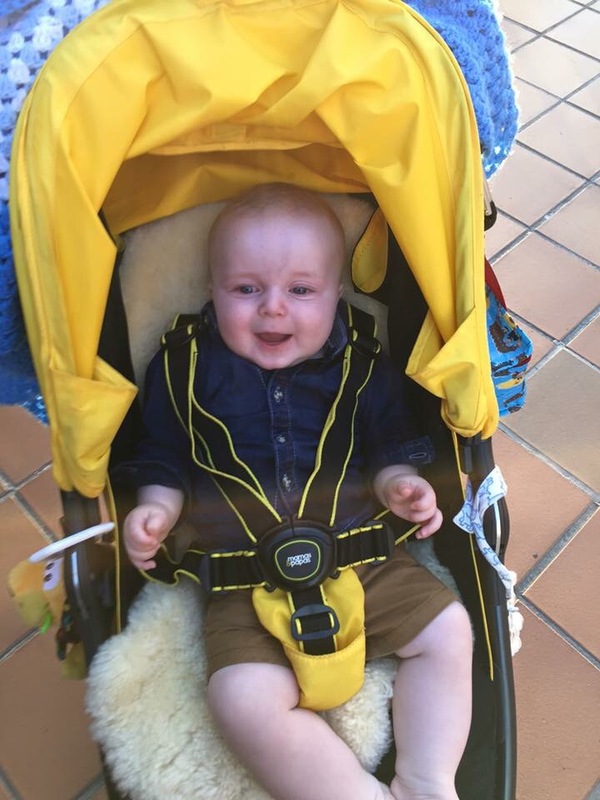 This was the easiest option with the pushchair and all the luggage. The hotel was beautiful with plenty of facilities. We had decided to go all inclusive as we thought it would be easier with Finn being new to food we could just pick bits up for him whenever. We also wanted a little bit of luxury with it being our honeymoon. The food was really good but we did eat out quite a few times for a change at tea time as we knew we would get bored of just one buffet. The breakfast was lovely with lots of choice. Lunch suited us as there was a snack bar so we could just get bits of food during the day. We had chosen an upgraded room and it was huge, with a beautiful sea view. We All all the rooms looked lovely though. 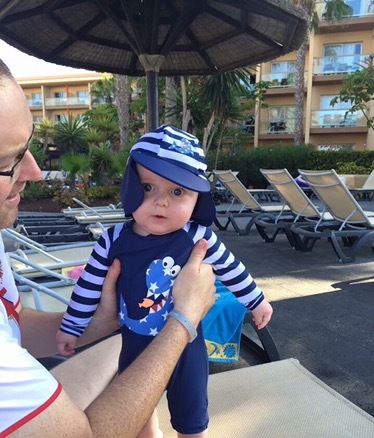 There was 2 big pools, with one really shallow bit which was ideal for a baby. 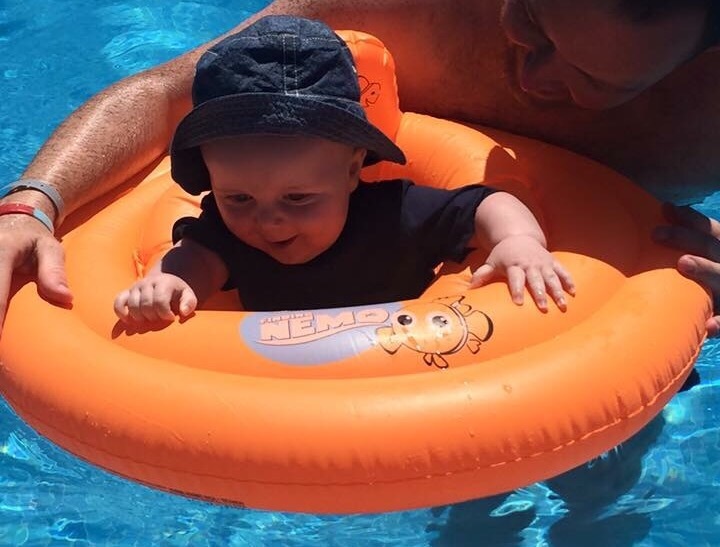 He loved splashing in the pool or floating in his rubber ring. 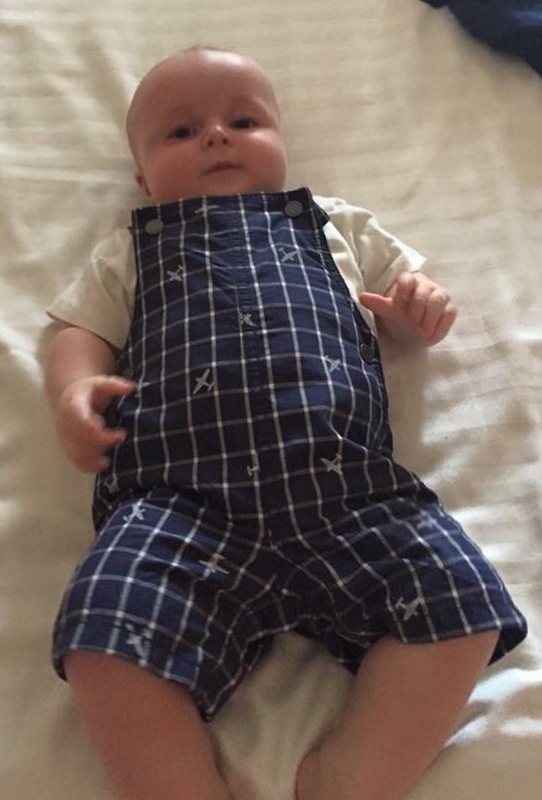 My big worries were keeping Finn cool and food, which after speaking to a few friends about going abroad with babies this was their main worry too. I will briefly cover some tips I picked up. 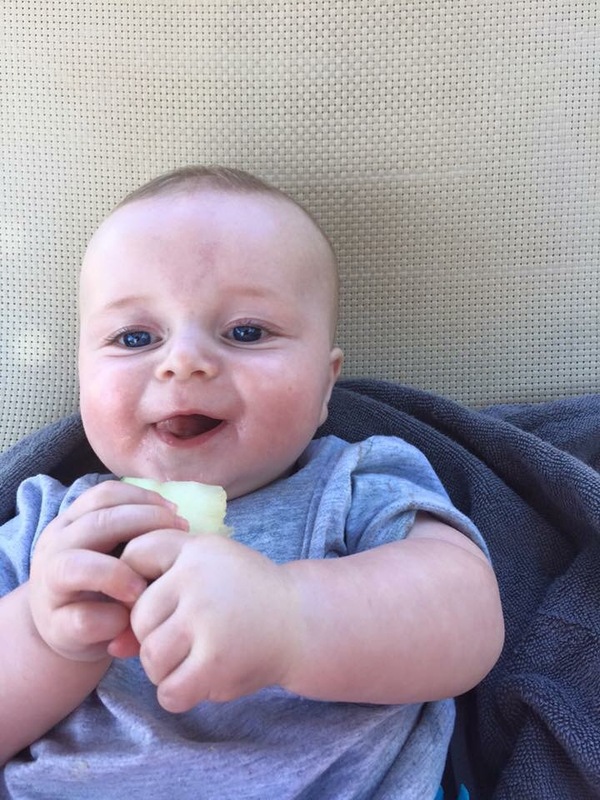 Food– As I’ve mentioned previously in blog posts we did partly Baby Led Weaning so at this stage Finn was happy to eat a variety of food. There was plenty of salad bits, fruit & pasta for him. 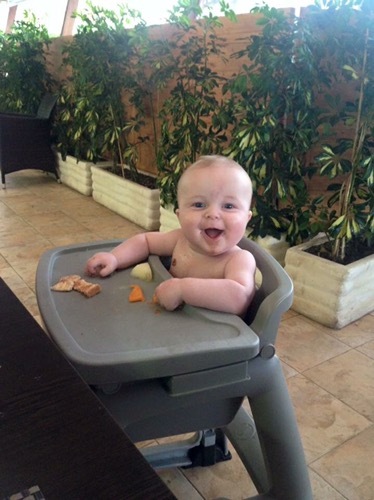 Plus he was happy to try bit of what we were eating. 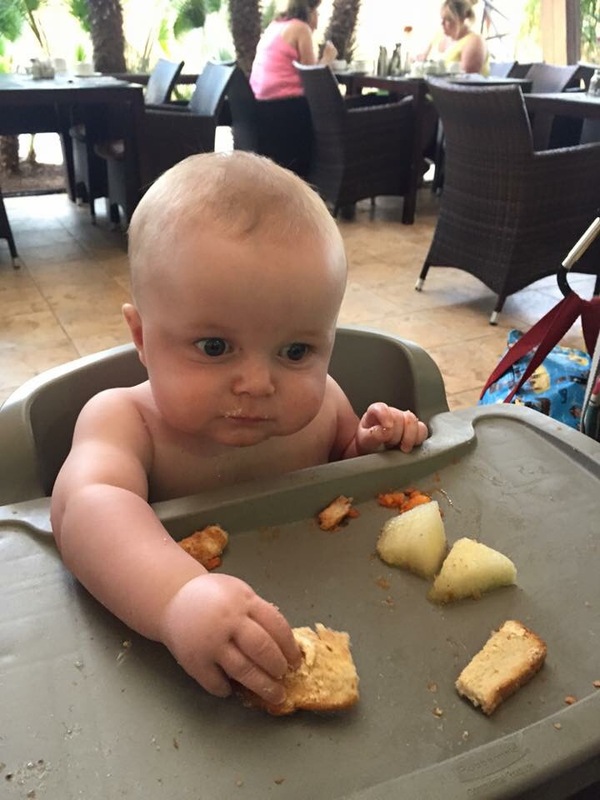 I do think all inclusive was perfect for a baby at this stage of weaning . That said I did take a lot of ready made food & snacks. I ordered pouches and packets of baby snacks to Boots at the airport , just so I knew we would definitely have something for him. Heat- We have the the Armadillo City and this was perfect as it has a really large sun canopy. 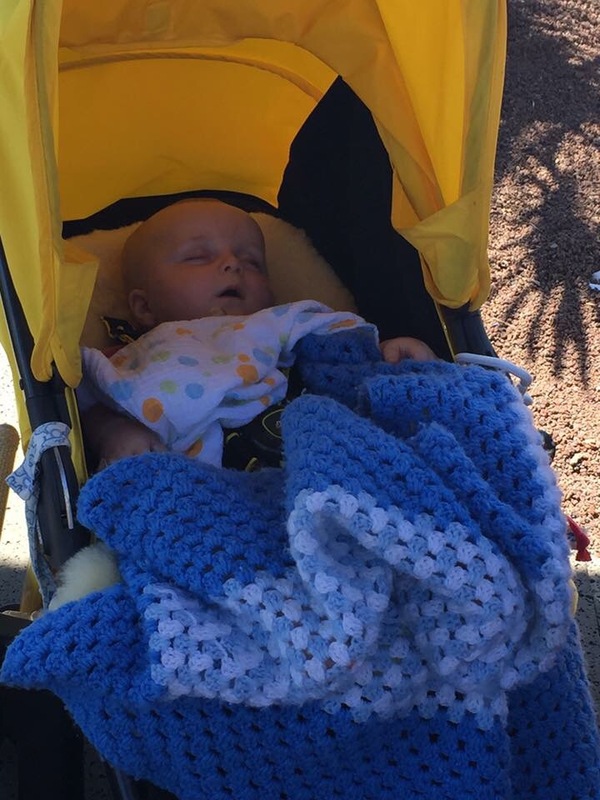 We also kept Finn in the shade whenever we could apart from in the pool. He lived in swim stuff in the day as it was too hot for anything else. 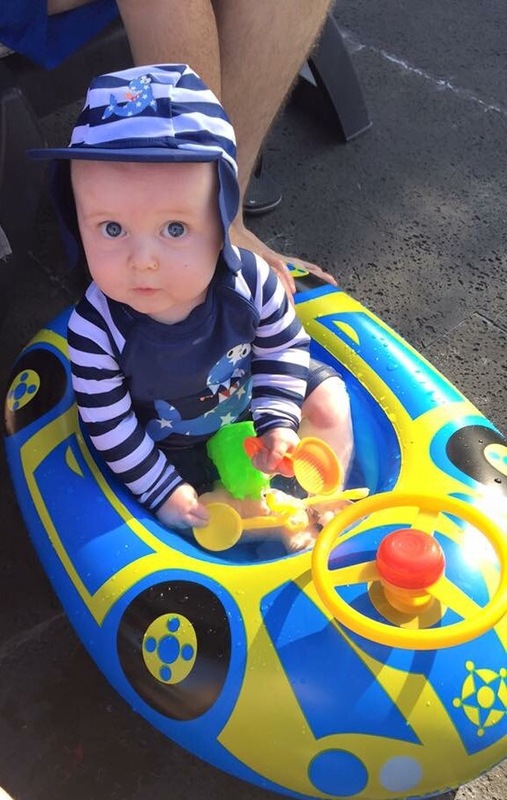 One thing he loved and kept him cool was a blow up paddling pool under an umbrella, we filled this up with pool water and bought a few toys to go in it. He really enjoyed this. The area was really good for children, we didn’t venture really far as we just wanted a relaxing holiday. But around the hotel there was plenty of parks,play areas and child friendly places to eat. One restaurant I would definitely recommend is La Taberna del Capitan, this is probably the best tapas we have ever tasted! From the outside you wouldn’t think so but this place is amazing. We returned twice something we don’t normally do on holiday but it was that good. Fado rock was another restaurant we loved as well, I had a beautiful seafood mixed grill. We never really stayed out too late but early evening all of the bars were child friendly and reasonable prices. We would definitely like to return to this area one day.